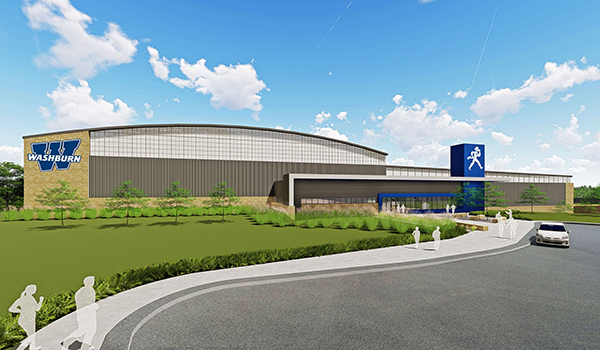 The Washburn University Alumni Association and Foundation is excited to announce a $1 million gift from the Sunderland Foundation to the new Indoor Athletics Facility at Washburn University. Marshall Meek, president, Washburn University Alumni Association and Foundation, said the Sunderland Foundation has been a longtime partner with the University in providing funding for spaces such as the School of Nursing, Whiting Hall, Stoffer Science Building, the Welcome Center, the Washburn University School of Law and the Golf Indoor Driving Range Facility. The $1 million gift is its largest to date. 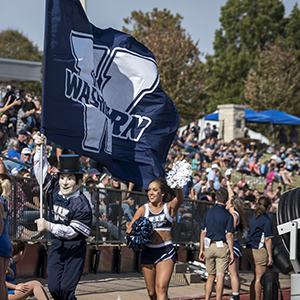 At the Dec. 13, 2017, Washburn Board of Regents meeting, the board unanimously approved a proposal for the University to build an Indoor Athletics Facility on campus. The project will feature a 100-yard indoor field for football, space for baseball and softball to practice concurrently, ample space for the soccer team, an indoor track and meeting rooms. The Indoor Athletics Facility is now less than $1 million shy of its fundraising goal. You can give online today to the Indoor Athletics Facility, or you can contact Bruce Steinbrock at 785.670.1334 or bsteinbrock@wualumni.org to give or learn more.